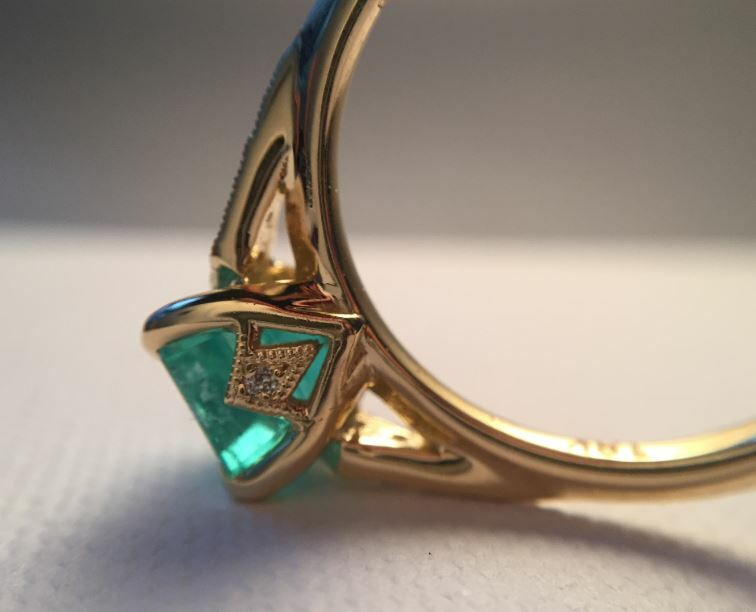 There is strength in clean lines, a quality that this ring has in spades. 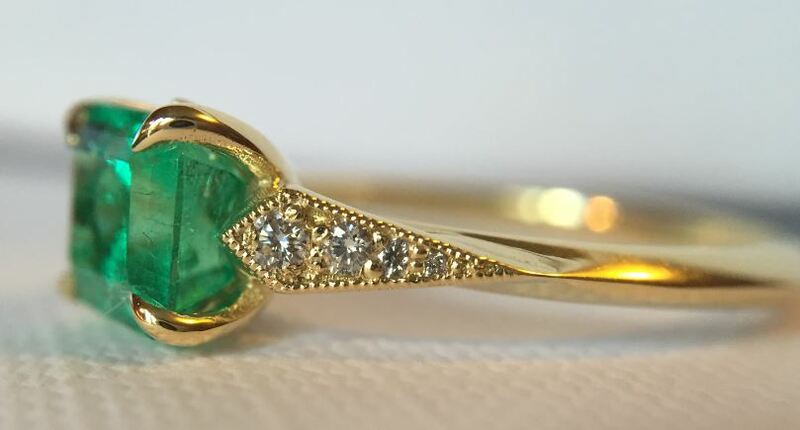 A tapered knife edge shank and a kite shaped, diamond accented detail on the profile lend this beautifully to any center stone, adding just a touch of sparkle. 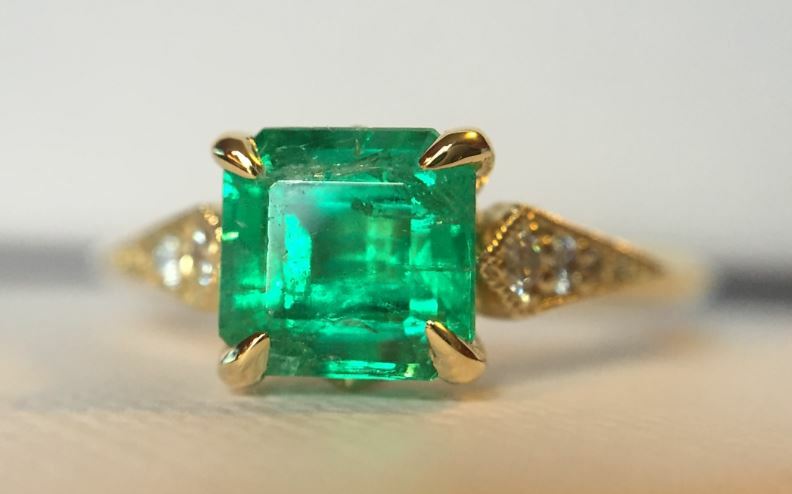 Shown with a 1.2 carat Colombian emerald in 18kt yellow gold. The Résistance ring is available by special order. Please contact us with inquiries.